A short demonstration of Murray’s inconsistencies and errors surrounding the Covenant of Grace. In 1954 Tyndale Press published the first copy of The Covenant of Grace. 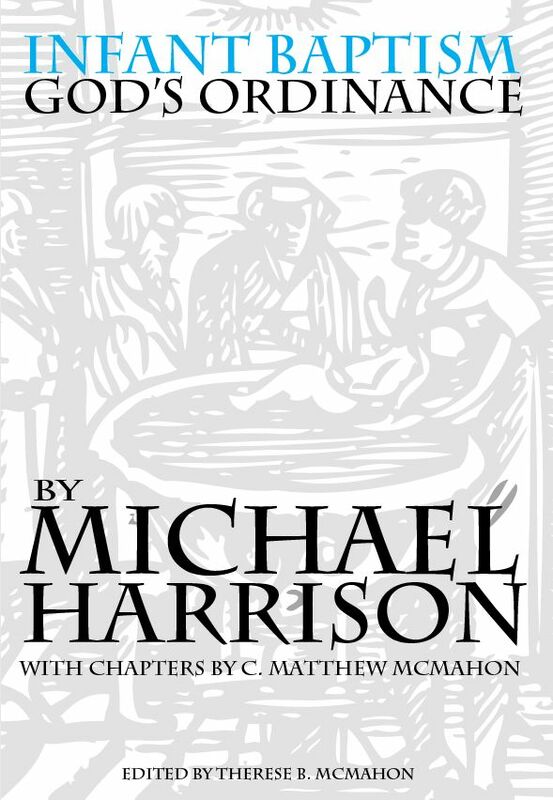 It is a short 20-page pamphlet that attempts to describe the character and nature of the Covenant of Grace. The Westminster Theological Seminary professor, John Murray, is its author. John Murray is very well known in Reformed circles, and should be. His work on the exposition of Romans 5 and the imputation of Adam’s sin as a position of biblical orthodoxy goes unanswered. It is one of the most helpful and scholarly expositions written on the subject. No doubt, on many occasions Murray has demonstrated his theological prowess and biblical applicability of sound doctrine on a number of issues. This pamphlet The Covenant of Grace, however, is not one of them. There are many who do not hold my opinion about Murray’s position on the Covenant of Grace (See the POST SCRIPT at the end of this page for some disagreements). However, I am unaware of any popular exegetical defenses of his position anywhere other than his own. I am aware of a number of Reformed works that demonstrate his position as erroneous, though they do not directly deal with Murray, perse. There are many Baptistic works1 that deal with the covenants in the same manner that Murray does, but with certain exceptions. O. Palmer Robertson has critiqued both Meredith Kline and John Murray in his paper that appeared in the Westminster Theological Journal called, Current Reformed Thinking on the Nature of Divine Covenants. I believe, though, that Robertson’s “critique” is more of a “comparison” between Murray and Kline, rather than a “critique.” It demonstrated their agreements, as well as their disagreements, and Robertson then mentions, not formally “critiques”, some of his concerns about both systems. His thoughts will be presented in part later. There is agreement here that Covenant Theology needs to be corrected, modified and expanded. But Murray has not helped in correcting the ideas surrounding the Covenant of Grace; rather, he has muddied the waters. Covenant Theology, now, needs to be rescued from Murray’s conceptions surrounding the Covenant of Grace and the Covenant of Works; the Covenant of Works is something Murray denied (but I will only being dealing with the Covenant of Grace int his article). It has been confusing both to Presbyterians who are not well versed with the historical situation and biblical and theological consideration of the covenant, as well as to “Reformed” Baptists who “seem to agree” with much of what Murray purports, even thought hey are coming from a Dispensational outlook on Scripture. Murray’s thesis is the following, “From the beginning of God’s disclosures to men in terms of covenant we find a unity of conception which is to the effect that a divine covenant is a sovereign administration of grace and of promise.”7 Murray begins his pamphlet by defining the term “covenant.” It is obvious that he is well aware of the historical progression of the theology behind the covenants, since, in volume 4 of his collected writings, he has a basic survey of Covenant Theology that mentions here.8 Murray accuses the “more scholastic and systematic theologians” of departing from earlier formulations,9 where, in my opinion, they did not depart but became more precise, which is a grave difference. His cross-section, though, of these theologians and pastors, are too selective in the overall scheme of understanding the Covenant of Grace. He fails to quote any of them in relation to the Covenant of Redemption, which is a huge mistake. At this point, some who know Murray’s position well may protest stating that his purpose was to describe the Covenant of Grace and not the Covenant of Redemption. However, this is part of the overall problem Murray has in his schema of Covenant Theology. Murray says, “As we shall see, the gracious, promissory character of covenant cannot be over-accented.”10 As a matter of fact, this is the over-arching problem with Murray’s entire position, and the crux of his thesis. The reason Murray states that grace cannot be over-accented is in adverse reaction to the idea of the covenant as a “mutual pact or agreement.”11 Murray does not like the idea that two parties are involved in covenant, and that those two parties must uphold the covenant, or that the covenant is based on a principle surrounding moral Law and legislation. The problem, at this early point, is that Murray 1) does not explain the Covenant of Grace in terms of its relationship to the Counsel of Peace or Covenant of Redemption, making no distinction between the two, and 2) he misuses the idea of covenant to demonstrate that every covenant is gracious. If every covenant is gracious, then how is the mutual pact and agreement between the Father and Son before the foundation of the world in any way gracious between them? This is not even part of his discussion, and his failure to address this aspect of the divine oath is self-defeating to his own position. The inquirer, though, in reading through Murray’s pamphlet, may never think through aspects of relation in the Covenant of Redemption and the Covenant of Grace. There they are proselytized into a less than adequate reformulation of Covenant Theology which denies aspects of the heart of Reformed Theology without ever mentioning them. Murray then uses biblical examples of “covenants” between men in the Bible. He mentions Abraham and Abimelech (Genesis 21:27, 32), Abimelech and Isaac (Genesis 26:28), Laban and Jacob (Genesis 31:44), the Gibeonites and Joshua (Joshua 9:6, 11), David and Jonathan, and Jonathan with David (1 Samuel 18:3), David and Abner (2 Samuel 3:12, 13, 21), David and all the elders of Israel in Hebron when he became king over all Israel (2 Samuel 5:3), and Solomon and Hiram (1 Kings 5:12).12 He then says, “It might seem that here undoubtedly the notion of agreement or contract prevails and that to make a covenant is simply to enter into a mutual compact or league.” But then he says, “It must be said, first of all, that, even should it be true that in these covenants the idea of mutual compact is central, it does not follow that the idea of compact is central in or essential to the covenant relation which God constitutes with man.”13 Granted, Murray is talking about the covenant made between man and man in order to discuss the covenant between God and men. However, this, again, is not only to deny much of what he just quoted, but also to disregard the Covenant of Redemption which is essential in formulating a doctrine of the covenants. Then, in side stepping the issue, he says, “when we examine some of the instances in question we shall discover that the thought of pact or contract is not in the foreground.”14 Removing this “pact and mutual” agreement into the background will give Murray the ability to place in the foreground the aspect of “solemn engagement” that he hopes to prove. But this position is to undermine the nature of the covenant since Murray simply decides he will “neglect” (?) the aspect of the covenant he just placed in the background to “over-accentuate” the gracious aspect of any covenant. The absurd conclusion Murray makes on this is in his statement, “To say the least, the case is such in these instances of human relationship that no evidence can be derived from them to support the idea of mutual contract or compact.”15 This is nonsense. He just told us that the idea of mutual pact or agreement is “not in the foreground.” He did not say that it did not exist at all. He says, “if this analysis” is correct, which it is not, “then the idea of stipulations and conditions devised by mutual consultation and agreed upon as the terms of engagement need not to be present even in human covenants.”16 Human covenants between two people have been historically set within the context of the suzerain-vassal treaty, at the very least (cf. Psalm 99:6-8, 105:8, Zephaniah 3:9 and Isaiah 56:2). They included the preamble, historical prologue, stipulations and sanctions, oath and vows, and the ratification of the covenant. If two agreed to enter into a covenant, at the very least two are agreeing. Even some of the most simplistic bible study books on Covenant Theology, like Grace Unknown, by RC Sproul, deem this structure as normative. In covenants between God and man, something Murray will touch upon next, God imposes the covenant without consent, but requires obedience or else the grantee would become a covenant breaker. In either case, with between man and man or as will see, God and man, Murray has reformulated the Covenant of Grace to be over simplistic, but erroneously so, tending toward grace, and overemphasizing grace without Law. In explaining the covenants made between man and God, Murray again surveys covenants of human initiative with God. He mentions the people of Israel in the days of Joshua (Jos. 24:24), and in answer to their promise “Joshua made a covenant with the people that day, and set them a statute and an ordinance in Shechem.” (Joshua 24:25). He also mentions the case of Jehoiada who “made a covenant between the Lord and the king and the people, that they should be the people” (2 Kings 11:17). Also, Josiah (2 Kings 23:3) and Ezra are said to make these man initiated covenants (Ezra 10:3). Murray then says, “We cannot fail to note that what is in the forefront in these cases is not a contract or compact. Strictly speaking, it is not an agreement. Though the persons entering into covenant agree to do certain things, the precise thought is not that of agreement by the people among themselves, nor a mutual agreement between the people and the Lord. We must distinguish between devising terms of agreement or striking an agreement, on the one hand, and the agreement of consent or commitment, on the other. What we find in these instances is solemn, promissory commitment to faith or troth on the part of the people concerned. They bind themselves in bond to be faithful to the Lord in accordance with His revealed will.” This is a strange idea that one may commit to something without actually committing to uphold or do anything. Murray says, “The covenant is solemn pledging of devotion to God, unreserved and unconditional commitment to His service.”17 How can this be a pledge (something given as security for the performance of an act, a dictionary definition) or a commitment (an agreement or pledge to do something in the future; especially: an engagement to assume a financial obligation at a future date, or the state or an instance of being obligated or emotionally impelled) and not be the historical definition of covenant? Murray is playing semantic games here in an attempt to disregard Law and emphasize grace. He is commended for emphasizing grace, but he cannot be commended for over-accentuating it at the expense of covenant definitions. A simple overthrow of Murray at this point is simply to ask, “In this unreserved and unconditional commitment to His service, what are the terms? How does one do this?” In answering this, Murray is silent. Murray then approaches the arena of the divine covenants by way of the post-diluvian Noahic covenant. This is interesting that Murray chooses this covenant in which to determine the characteristics of all others covenants. The text of Genesis 9:9-17 is pivotal for the discussion. It reads, “And I, behold, I establish my covenant with you, and with your seed after you; And with every living creature that is with you, of the fowl, of the cattle, and of every beast of the earth with you; from all that go out of the ark, to every beast of the earth. And I will establish my covenant with you; neither shall all flesh be cut off any more by the waters of a flood; neither shall there any more be a flood to destroy the earth. And God said, This is the token of the covenant which I make between me and you and every living creature that is with you, for perpetual generations: I do set my bow in the cloud, and it shall be for a token of a covenant between me and the earth. And it shall come to pass, when I bring a cloud over the earth, that the bow shall be seen in the cloud: And I will remember my covenant, which is between me and you and every living creature of all flesh; and the waters shall no more become a flood to destroy all flesh. And the bow shall be in the cloud; and I will look upon it, that I may remember the everlasting covenant between God and every living creature of all flesh that is upon the earth. And God said unto Noah, This is the token of the covenant, which I have established between me and all flesh that is upon the earth.” Murray says, “It is God’s covenant in that it is conceived, devised, determined, established, confirmed, and dispensed by God Himself…it is universal in its scope, a covenant not only with Noah but with his seed after him and with every living creature…it is an unconditional covenant…the covenant is intensely and pervasively monergistic…it is an everlasting covenant.”18 In stating this, Murray then concludes this way about its nature, “It is quite apparent that in this covenant we must not take our point of departure from the idea of compact, or contract, or agreement in any respect whatsoever. It is not contractual in its origin, or in its constitution, or in its operation, or in its outcome. Its fulfillment or continuance is not in the least degree contingent even upon reciprocal obligation or appreciation on the part of its beneficiaries. Yet it is a covenant made with men, with Noah and his sons and their seed after them to perpetual generations. It is a covenant characterized by divinity in a way unsurpassed by any other covenant and yet it draws men within the scope of its operation as surely as any other covenant does. Here we have covenant in the purity of its conception, as a dispensation of grace to men, wholly divine in its origin, fulfillment, and confirmation.”19 Murray spends 3 pages of a 20-page pamphlet explaining this covenant. However, he has made a fatal blunder to his thesis at this point. Murray has taken the post-diluvian Noahic covenant and has defined it as a redemptive covenant when it is not. In making such a covenant “redemptive” he loses the entire scope of the meaning of the passage. This covenant did not create a holy and redeemed elect people. It was not a covenant of administering redemptive grace, but rather, demonstrated God’s indiscriminate providence. Kline rightly notes here that “Indeed, this covenant is even described as one made between God and “the earth” (v.13). It is concerned immediately and directly with the continuance of the common interim order of mankind and his culture. Its sign, the rainbow, is not, like circumcision or baptism, a rite performed by and upon a peculiar people set aside from the rest of mankind as a seal of their distinctive status as covenant members. It is instead something effected by God in the natural world, visible to all, consecrating none. It does not produce the holy kingdom realm that is in view in the program of redemption. It rather defines a provisional world order under God’s general kingly governance.”20 Quite simply, Murray has taken the oath of indiscriminate providence and has overlaid this on all of redemptive history where this covenant does not deal, perse, with “redemptive” history but the stability of a world order for the redemptive covenant to take place within. Redemption should have taken place in the Garden of Eden, but the transgression of the priests in the holy sanctuary-paradise failed in their mission to subdue the earth and protect it from the devil. They ratified their pact with the devil, instead of God, and ate of the fruit. In “beginning again” God eradicates the wicked, and invokes a covenant of providence to stabilize the earth. For some reason, unknown to this writer, Murray overlooks this completely. Murray then moves into the New Covenant and says this, “To whatever extent the old covenant was the means of establishing the peculiar relation of the Lord to Israel as their God and their relation to Him as His people, the new covenant places this older intimacy of relation in the shadow.” This is an interesting statement since the relationship he has been explaining all along is monergistic in terms of relation (an aspect or quality (as resemblance) that connects two or more things or parts as being or belonging or working together). His waffling here is not new, it is apparent all through the pamphlet. If Murray had taken the time of explore the Covenant of Redemption and the Covenant of Grace, instead of melding the two to an unhealthy extent, and creating confusion in the epochs of progressive revelation, the difficulties in sorting out the administration of “covenants” would be much easier for the modern day Covenant Theologian, and the inquirer. Too much time is spent in Covenant Theology untangling this ball of string because it places huge obstacles that seem appropriate, but on closer examination simply confuse the issues. The Evils of Infant Baptism, by RBC Howell, Lectures on Baptism, by William Shirreff, A String of Pearls Unstrung, by Fred Malone, Infant Baptism and the Covenant of Grace, by Paul Jewett, Children of Abraham, by David Kingdon. Holmes Ralston, III, John Calvin versus the Westminster Confession (Richmond: John Knox Press, 1972), p. 37. John Murray, The Covenant of Grace (London: The Tyndale Press, 1954), p. 5. Westminster Theological Seminary. (1976;2002). Westminster Theological Journal Volume 38 (Vol. 38, Page 30). Emphasis Mine. Westminster Theological Seminary. (1981;2002). Westminster Theological Journal Volume 43 (Vol. 43, Page 48). John Murray, The Covenant of Grace, Tyndale Press, 1954. Page 2. Emphasis mine. Murray, CoG, Page 19. Emphasis Mine. John Murray, The collected Writings of John Murray, Volume 4, Banner of Truth Trust, Carlisle, PA: 1982. Pages 216-240. 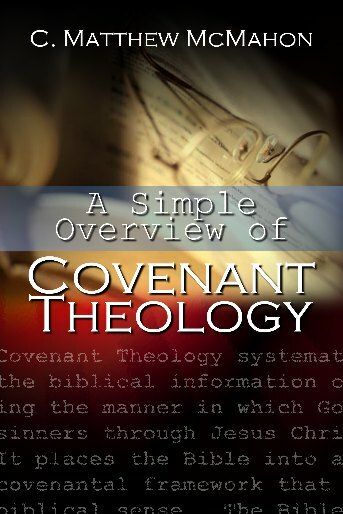 Murray’s survey of Covenant Theology here is more of a cross section than an in-depth study on the subject. His citing is selective (though many of his choices are of some of the most excellent works concerning Covenant Theology) and, in certain cases, is also lacking to demonstrate the whole picture of covenant progression through historical Christianity. Meredith Kline, Kingdom Prologue, Two Ages Press, Electronic Version, 2000. Pages 245-246. Westminster Theological Seminary. (1978;2002). Westminster Theological Journal Volume 40 (Vol. 40, Page 68). Emphasis Mine. This is presumed by this person’s hermeneutic, not the overwhelming texts against this person’s position. This person is mistaken in that Christ fulfils the Covenant of Redemption on behalf of the elect and it is applied in the context of the Covenant of Grace. This person has taken the Counsel of Peace and blurred it with the time-related covenants. As a former “Reformed” Baptist I believed this person’s position, and defended it quite “adequately.” However, in now understanding Covenant Theology, over and against the above dispensational ideas, and the differences between the Covenant of Redemption and Covenant of Grace there is much more to the picture that this person is not including here. This person (gentleman or lady? ), for some reason, missed the idea of the article as a whole, though commended me for butting a “fellow paedobaptist.” However, the article was intended to be a rebuttal of Murray; that was its point. Hopefully many might profit from not listening to Murray on this issue. This person also made a comment about the Puritan position on this, as well as John Owen’s position. This person says, “He would be better to deal with the mature Puritan position as articulated by John Owen, the Westminster Larger Catechism, Petto and others – as this is closest to our own!” I was surprised by the statement on the Puritans and Owen. It demonstrates that this person, whosoever it may be, really does not know their arguments, or simply may know them superficially. (This person may even chuckle at that.) Owen, Turretin, and yes, the Westminster Assembly’s divines, et. al. go to great lengths in their writings in describing and differentiating the Covenant of Redemption and Covenant of Grace, or the Counsel of Peace and the Covenant of Grace; i.e. the decrees of God and how those decrees are enacted int eh sphere of the Covenant of Grace through the Law Covenant. The Covenant of Grace between God and man is blurred by this person, as (I may say) with all Baptists, myself previously included, simply seen from his statements of misunderstanding what Christ does, and how the Spirit applies it in time. This person’s quotation of a passage dealing with the Covenant of Grace (2 Peter), top use This person’s language is quite unconvincing in demonstrating that the Noahic covenant, made with creation, all men, and beasts, is redemptive. (??) Does this person think reprobates in non-covenantal countries or nations, beasts, weeds, and ants will be redeemed by the Mediator? Or it is that the Noahic Covenant provides a context in which the Covenant of Redemption will take place. This is what this person seems to allude to, but does not demonstrate it very well (hopefully that is what this person means). Is that covenant redemptive? Certainly this person is not serious. In that alone this person has already blurred the lines between the Covenant of Redemption and the Covenant of Grace, the very thing Murray does and this person denies! Yes, the Noahic covenant demonstrates the sphere in which the progressive revelation of consequent covenants will take place (in God’s indiscriminate providence and promise that He will not destroy the earth by water again), but it would take some very strained exegetical “footwork” to make the Noahic covenant “redemptive.” Certainly instances in Noah’s life (the ark for example) shadow the Messiah as a type. But where do we find any exegetical work by any of the Apostles, or any New Testament witness stating that the Noahic covenant is Redemptive? Or any Old Testament witness for that matter! Whoever this person may be would do well to check Meredith Kline’s two works, “Kingdom Prologue” and “By Oath Consigned.” (Or even his commentary on Genesis, or some of the WTJ articles on the subject.) I think this person would benefit from them in a cursory reading to dispel the mixing up this person is experiencing in his position. This person is not purporting covenant theology, but as he sarcastically remarked, he is purporting Dispensationalism, if only simply as a Particular Baptist. Obviously there are more “Murrays” out there than just John Murray. Yes, John Murray has cloned many disciples, this person doing exactly what Murray did, and what this email purported as a “fallacy.” I was surprised to have received it to say the least.